LGBT Life Center would like to introduce our growing team of mental health professionals. We offer affordable, sliding scale mental health care to HIV positive, Lesbian, Gay, Bisexual, Transgender and Queer or Questioning individuals based on their ability to pay. Our counselors are very sensitive to LGBTQ+ and HIV issues. The LGBT Life Center is a safe space where members and allies of the Lesbian, Gay, Bisexual, and Transgender and Queer/Questioning community of Hampton Roads can join together in a network of support and acceptance. Our mental health program focuses on empowerment, inclusion, and holistic wellness. We exist so that every member of the of local LGBTQ+ community has the resources needed to thrive and live meaningful lives. Our counselors are especially prepared to work with the specific challenges that the LGBT community faces. If you are a member of the LGBTQ+ community including: individuals, couples, families, or allies; welcome to our safe space. In addition to providing counseling, we also provide consultation for other therapist. It is our goal to not only provide LGBT affirming counseling, but also to empower local counselors and agencies to do the same. 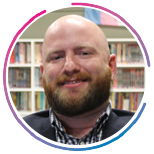 Our Clinical Director, Cory Gerwe, has taught counseling and human service courses in evidence-based therapy and LGBT issues at ODU, along with providing consultation to local mental health agencies and individual counselors. If you are interested, please call The Center at 757-640-0929 for more information. We currently accept credit card, cash, Medicaid, Ryan White funding, and private health care insurance. Are you a part of the LGBTQ+ community and want LGBTQ+ affirming therapy? Do you want to create a roadmap to your success and well-being in life? We will work together in a safe and supportive environment to explore any area you are concerned with and to expand your inner wisdom. As a member of the LGBTQ+ community, I will work with you in an empathic and nonjudgmental manner that respects diversity and understands experiences of discrimination. Within an LGBTQ+ affirming framework, I can help people with coming out, gender transitioning (gender exploration, referrals for hormones and surgeries, gender marker change, etc. ), relationship issues (including family or social rejection), intimate partner violence, discrimination, anxiety, depression, parenting, life transitions, anxiety, personality disorders, and an array of other issues. Denise is a licensed clinical social worker experienced in working with LGBTQ clients, including those who identify as transgender. She provides LGBTQ affirming therapy and psychotherapy for adults, adolescents, and their families. She can also provide written documentation for those seeking referrals to medical doctors for hormone therapy and/or surgical transition. Additionally, Denise specializes in psychotherapy for depression, anxiety, and chronic medical illnesses.